Hi everyone! 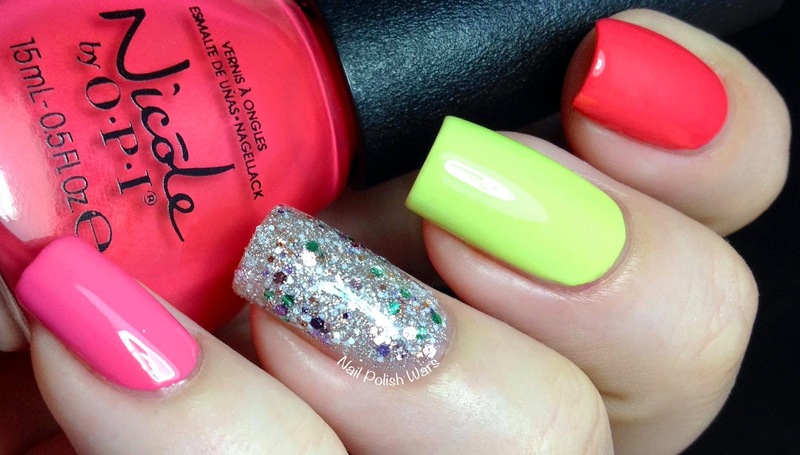 I have the new Seize the Summer Collection from Nicole by OPI for you today! I loved them so much that I had to rock a skittle mani with them! 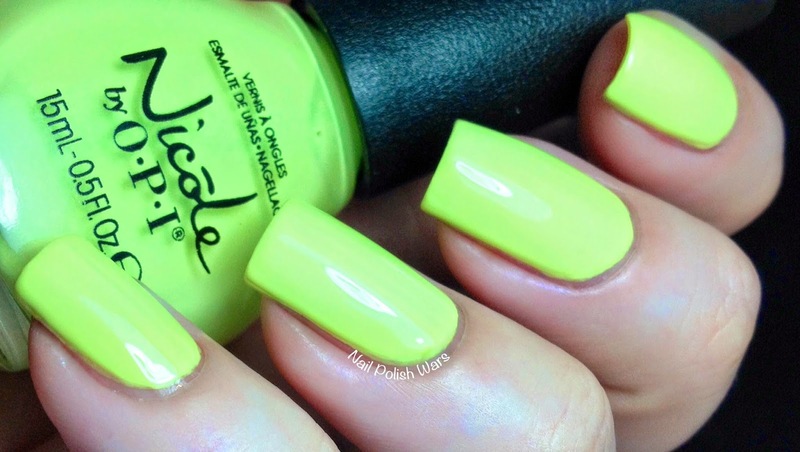 Lay it on the Lime is a soft pastel lime green creme. The formula was smooth and easy to apply. I just love this shade! It's so fun and summery. Shown is two coats of Lay it on the Lime. LeaPink for Joy is a medium pink creme. The formula was smooth and easy to apply. I really love the rosy feel to this one. Shown is two coats of LeaPink for Joy. 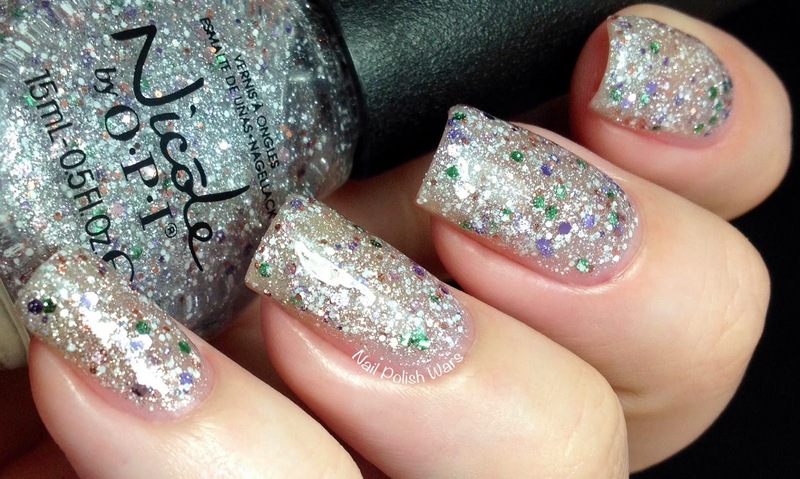 Shaved Nice is a clear coat loaded with white and silver micro glitters and purple, rose, and green hexes. The formula was smooth and easy to apply. I am crazy about this one! 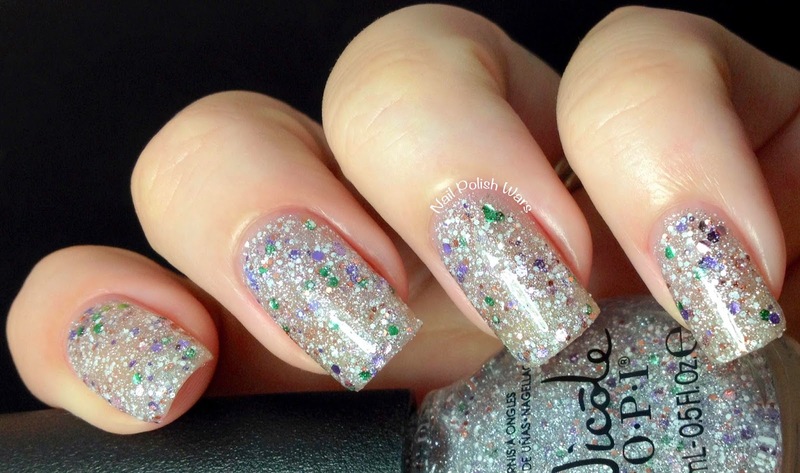 This glitter-bomb makes such a statement! Shown is two coats of Shaved Nice. The Coral of the Story is a medium coral creme. The formula was smooth and easy to apply. I am so into corals right now, and this one is just perfect! Shown is two coats of The Coral of the Story. I love how much fun these shades are together! I am so happy with this awesome quartet, and I hope you are too! Great review and swatches! Love the skittle you got with the collection too. Those colors are gorgeous! And I love the skittle mani.